The largest bike share in the Americas, New York’s Citi Bike hit the Big Apple rolling only weeks ago. Its rows of shiny blue bikes dotting Manhattan below Central Park and downtown Brooklyn ought to be a perfect fit: New York has one of the weakest car cultures in the country and a mayor (albeit one on his way out) who has kick-started its transformation into a cycling city by adding miles upon miles of bike lanes. Nevertheless, the transformation is far from complete—these streets can be dangerous riding—and the system is limited by its geographic scope and steep price compared to worldwide counterparts. This traffic-snarled megacity was ripe for a bike share when Ecobici debuted in 2010. It quickly hit its 30,000-member cap and had to put people on a waiting list. The largest share in Latin America, it now has 87,000 users and has become a favorite among business people looking to avoid downtown traffic. However popular it is within its designated perimeter, though, Ecobici is only open to residents of a few downtown neighborhoods, making it decidedly undemocratic. Leave it to the bike-friendly Dutch to integrate cycling seamlessly into their already advanced commuter rail network. Operated by Dutch Railways, the nationwide bike share, called OV-fiets, has both automatic dispensers and manned booths at rail stations, bus and subway stops. Netherlanders can buy a €10 annual subscription that they can link to a rail pass, and can check out bikes for up to three days, starting at €3.15 a day. Ironically, The Netherlands’ legendary cycling culture is what hobbles OV-fiets in the rankings: most people ride their own bikes, and the system is designed mainly to solve one problem, covering that “last mile” from the train station. It’s no wonder they call them “Boris bikes.” London mayor Boris Johnson, known himself for cycling around the city, famously said he “hoped the bikes would become as common as black cabs and red buses in the capital.” While not quite so ubiquitous just yet, the bikes of Barclays Cycle Hire continue to grow in number, and proved to be hugely popular during the 2012 Olympics. But like Citi Bike, the Barclays bikes complement the busiest districts while leaving the rest of Greater London out to dry—great for tourists and City of London workers, though. Buenos Aires was the first major South American city to try its luck with bike sharing, and has since been joined by Santiago, Chile, and Rio de Janeiro and São Paulo, Brazil. Until recently named Mejor en Bici—or “Better by Bike”—this government program is part of a larger initiative by the same name to build a cycling infrastructure in the Argentine capital. (The government just renamed it Ecobici, no relation to Mexico City’s share.) The cool twist here? Although the hours aren’t as generous as other programs—8 a.m. to 8 p.m. on weekdays and limited hours on weekends—the program is completely free to residents, and rentals, if you call them that, are for an hour. And it’s about to get a major overhaul: the city is expanding Ecobici to 200 stations and making it 24/7 at no extra cost to riders. Capital Bikeshare in the D.C. metro area wasn’t the nation’s first successful go at a modern Euro-style system—Denver and Minneapolis beat it to the punch by a few months—but it has been something of a test case for a bike-wary U.S. (D.C.’s earlier share, SmartBike DC, was North America’s first failed attempt.) With stations across state lines in Washington proper and Alexandria and Arlington, Virginia, Capital Bikeshare proved that such a system could work here. Users have logged millions of miles, and the network will soon expand into Maryland. What it lacks—typical of the bottom of this list—is citywide-ness, and also the low prices you see in Europe and Asia. 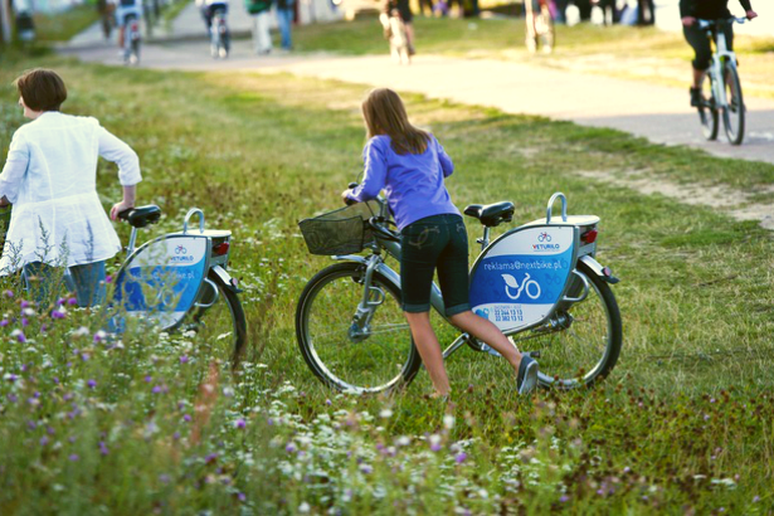 Last year Poland's capital propelled Eastern Europe into the bike sharing big leagues with the introduction of Veturilo. Unlike many other bike shares, there’s no tiered membership system, and a one-time fee, equivalent to about $3, grants anyone access to the low-cost system—after sign-up, the first two hours cost just over one U.S. dollar, allowing tourists to explore this historic city on the cheap and locals to use Veturilo bikes for recreation. Compared to other large bike shares, though, Veturilo is not terribly well used, likely due to Warsaw’s relative lack of bike culture and its fledgling, but not yet built-up, cycling infrastructure. You’d think the success of a public bike program would be a given in this semi-official capital of the E.U., but the first attempt, called Cyclocity, was a flop because it had too few stations and lacked public input. Enter the online activist. Rebooted as Villo! In 2009, the new share now has a public watchdog, the citizen-run website Where’s My Villo?, which tracks data on bike and docking availability, and has successfully pressured the operator, the advertising firm JCDecaux, to continuously improve the system. This hilly city’s share understandably sees lower ridership than its French cousins, but Villo! is testing out a solution: extra free time for uphill trips. Maybe it’s the agreeable Mediterranean weather and urban seaside cool of Tel Aviv that made it the location of the Middle East’s first, and largest, major bike share, Tel-O-Fun. According to first-year stats released by Tel-O-Fun’s parent company, FSM, this Israeli city’s experiment has been successful in two ways: on weekdays commuters use the bikes to beat downtown traffic, and on weekends tourists use them to explore Tel Aviv-Yafo’s famous boardwalk—now with bike lanes. Montreal’s seasonal Bixi network may sound puny next to the big ones in China and Paris, but prior to Citi Bike’s debut, it was the largest in North America—and also the first to gain traction. Bixi’s modular technology proved to be such a hit that it’s now used in Boston, London, Washington, D.C. and, yes, New York. The best share on the continent (okay, among the ones we ranked), Bixi is only held back by not covering more than a small portion of this beautiful, bike-loving city. 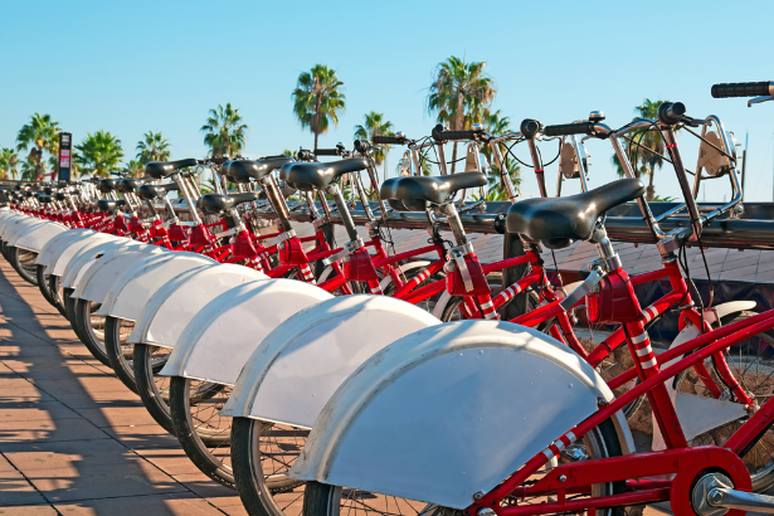 Barcelona’s Bicing program vaulted Spain into the bike share business in a big way. This coastal Catalan city’s program took off like wildfire on wheels, quadrupling in size in one year and inspiring copycat schemes all over the country. Today, Spain has 132 bike shares, the most in the world. While it’s one of the world’s most respected and popular shares, Bicing is only open to residents—tourists are strictly prohibited—and it doesn’t have short-term subscriptions. Before Paris rolled out its world-famous share in 2007, France’s second city, Lyon, set the stage with Vélo'v, the first truly modern system with smart cards, GPS tracking and high-tech kiosks. It followed a price structure introduced by the city of Rennes, which pioneered a smaller, less advanced system in 1998: the first 30 minutes are free for everyone, and subscribers pay reduced rates for half-hour increments thereafter. Lyon’s success with this ad-supported system heralded the explosive growth of urban bike sharing and became a model for other European cities. To this day it is also one of the continent’s most well-used, best-run systems. China’s not the only Asian country with the bike share bug. 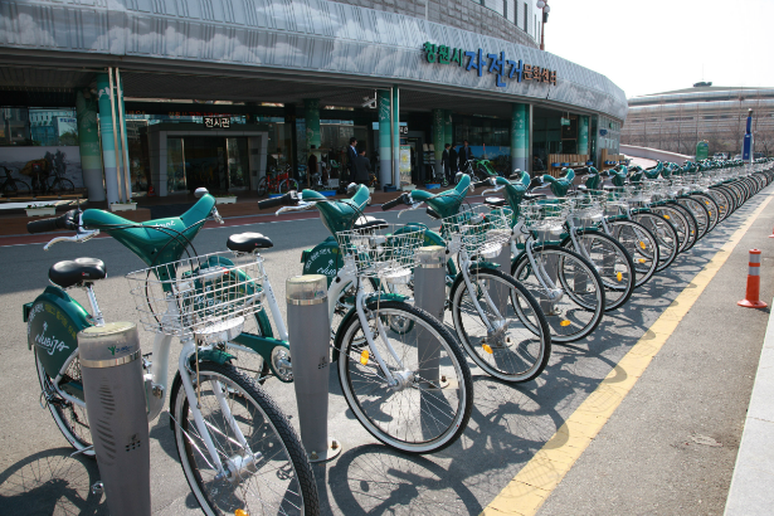 This South Korean city rolled out its NUBIJA program—short for Nearby Useful Bike, Interesting Joyful Attraction—as part of an initiative to be one of South Korea’s greenest cities. Residents have taken to NUBIJA and the city’s color-coded bike lanes in droves, and the system’s about to get even more high-tech: Changwon plans to add smartphone chargers to the bikes so riders’ pedal strokes can do double duty. NUBIJA is also one step away from free: about $18 for an annual subscription and less than a dollar for a day pass—and the first two hours of riding cost nothing. While Europe gets most of the credit for bringing bike sharing into the 21st century, China is the world leader—at least by the numbers. This central Chinese city of 6.4 million has the world’s largest bike share scheme by a sight: if official figures are to be believed, it has roughly twice the number of bikes as all of France’s shares combined, according to data collected by the Earth Policy Institute. And not only are there more than enough bikes to go around for its residents only bike share—it has the lowest resident-to-bike ratio on our list—it’s free. Take a look at this city of 6.2 million near Shanghai, and you’ll see what just may be the best bike share in the world. 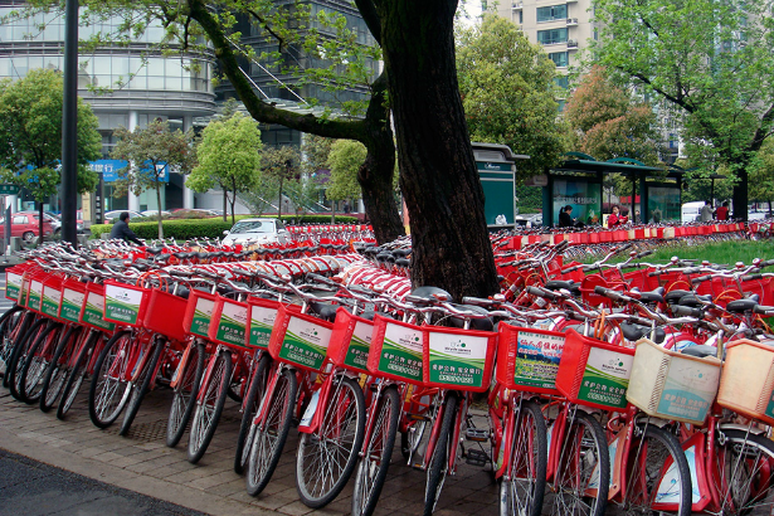 Although now second on the planet (and China) by size, the Hangzhou Public Bicycle system is one of the densest shares, and probably the most extensively used one, anywhere, largely because of its integration into public transit: a single card grants access to subway, bus, ferry, taxi and bike share. Residents and tourists alike can put down a deposit of 200 Chinese Yuan (about $33) and ride for an hour for free in this scenic city on the Yangtze Delta. Each additional hour is the equivalent of only $0.15—one reason why riders put in a quarter-million rides a day. 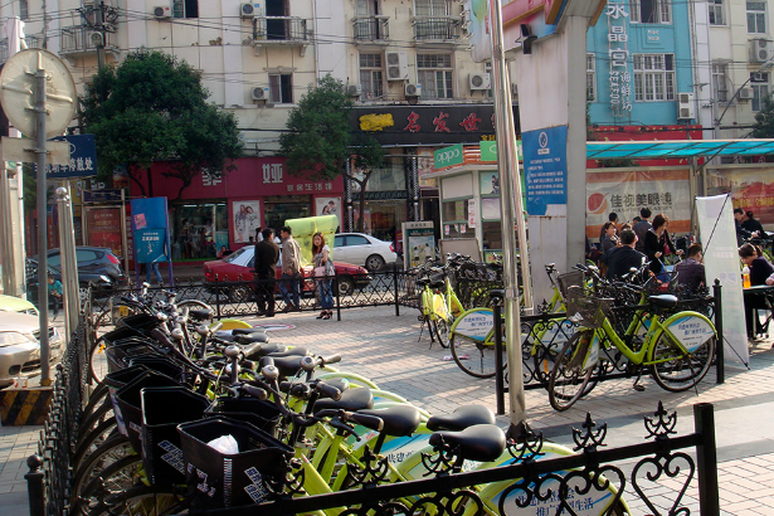 It was also the first new-generation bike share in China and is poised to once again become the world’s biggest. By 2020 it’s projected to have 175,000 bikes.